Copyright © 1 April 2014 by Bob Hurt. All rights reserved. The majority of those callers had already blown hundreds to thousands of dollars on a “Securitization Audit” or flimsy “Loan Audit” which did not have enough value to buy the powder to blow them to hell. Many mortgagors had blown thousands to pay a foreclosure “pretense defense” attorney for the privilege of dragging out the foreclosure. Most of those lost the home in a foreclosure auction. Many who did loan mods went into foreclosure again and either lost the home or soon will. Every one of those people bought a service from a clueless “Kool-Aid Drinker” or an out-and-out scammer (charlatan, cheat, con artist). Even those attorneys who promised “We’ll keep you in the house as long as we can” committed legal malpractice if they failed to examine the mortgage transaction comprehensively for evidence of fraud and other torts, contract breaches, regulation breaches, and legal errors. Securitization audit scammers tell their desperate, clueless foreclosure victim prospects that they will research the “chain of title” and find out who owns the note and what shenanigans happened during transfers of note ownership. They will suggest that the chain of title to the note really matters in a foreclosure dispute. In reality, as demonstrated by myriad foreclosure sales, it does not matter at all to the foreclosure judge or trustee. Those scammers will talk about their certification, credentials, and the crookedness of securitization, putting the note into the trust after the closing date specified in the pooling and servicing agreement (PSA), REMIC violations, Bloomberg terminals for researching Securities and Exchange Commission information, etc. And they will show you a wad of useless affidavits, and claim to have functioned as expert witnesses. They will not tell you their affidavits and testimony have no notable effect on foreclosure decisions. 1. Did you borrow money to purchase, refinance, or get a line of credit on a home? 2. Did you sign a note in which you agreed that you had received a loan? 3. Did you sign a security instrument (Deed of Trust – DOT, or Mortgage) in which you asserted having seisin (possession) and having transferred the estate to the lender for purpose of a mortgage or deed of trust? 4. Did the lender assign a servicer to service your account (take payments manage, escrow, distribute proceeds, answer your questions regarding servicing the loan)? 5. Did you make any timely payments to the servicer? a. The PSA for a trust that owns your note? b. Any assignment of your note to another creditor (owner of beneficial interest in the note)? “Plaintiffs here do not dispute that they defaulted on the loan payments, and the robo-signing allegations are without effect on the validity of the foreclosure process.” Javaheri v. JPMorgan Chase Bank N.A., 2012 WL 3426278 at *6 (C.D. Cal. 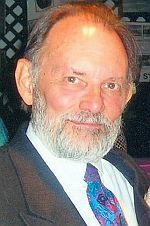 Aug. 13, 2012). UCC § 3-205. SPECIAL INDORSEMENT; BLANK INDORSEMENT; ANOMALOUS INDORSEMENT. 7. If the most recent indorser of your note indorsed your note in blank, why would you care who owns it? UCC § 3-301. PERSON ENTITLED TO ENFORCE INSTRUMENT. § 3-309. ENFORCEMENT OF LOST, DESTROYED, OR STOLEN INSTRUMENT. In view of these laws, the Trustees and Courts do not require the PETE to present the original note in order to foreclose. Some states, like Florida, which require the original and will not admit into evidence a copy of a negotiable instrument, provide a law allowing a creditor to reestablish a lost, stolen, or destroyed instrument, and thereby effectively to create a new, legal “original.” See, Florida Statutes, Chapter 71, http://goo.gl/hrB9bY. 8. Can a creditor foreclose a lost, stolen, or destroyed note on which you defaulted? 9. Can a PETE who does not have creditor status foreclose a note in default? 10. Did you breach the note? 11. Does the note lack validity? Law – 12 USC 2601 et seq. Regulations – 12 CFR 1024 et seq. Take note of (carefully read) 12 USC 2605 and 12 CFR 1024.35 at the above links, for these tell you the duties of the servicer to notify you of changes of the servicer, and explain what questions the servicer must answer for you, what questions the servicer may ignore, and what corrective actions the servicer must take. 12. How do you find out whether the note lacks validity? 13. Do you have the requisite knowledge and skill to perform a comprehensive, professional examination of your loan transaction and any related court actions? 14. Who has such competence and experience to perform a comprehensive mortgage loan transaction examination? 15. How do I find out who owns the note? Mortgage victims around the country have begun to wise-up to the securitization audit scam. 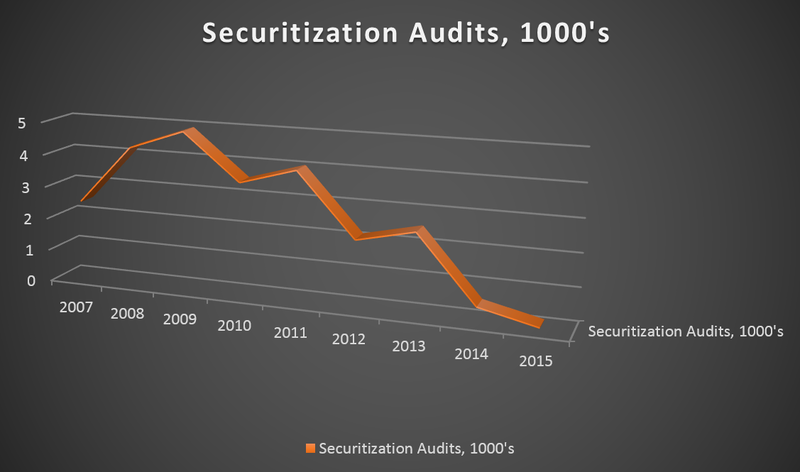 Sales of such audits have flagged considerably, and would flag worse but for the nonsense self-appointed pundits and litigation morons like Neil Garfield spouts on his junk blog. Now you know also that you do not need to pay some scamming scalawag hornswaggling huckster con-artist securitization auditor to find out who owns your note. Most of the time the so-called auditor gives clients a bunch of useless information like a copy of the PSA, but fails to tell you who owns the note. Why? Because creditors indorsed most securitized notes in blank and most notes have become securitized. If still in doubt, pick up the phone. Call the servicer, and ask, “Who owns my note?” If you get the bum’s rush, try it in writing, then contact the CFPB, and complain. If that doesn’t work, SUE. Yes, I know I titled the article to make it seem like securitization audits provide benefits you can get free. Well I gave you FREE those benefits that a securitization auditor fools victims into thinking they’ll get for a big fat fee, but which the victims do not get at all. HI BOB: THIS IS DAWN , YOU CALLED ME SEVERAL WEEKS AGO, I THINK YOUR WIFE WAS OUT OF TOWN AT THE TIME, HOWEVER, WE NEVER GOT TO FINISH OUR CONVERSATION. I FINALLY GOT A COPY OF MY “NOTE”, HOWEVER, OTHER THAN THE LOAN NUMBER, EVERYTHING WAS INCORRECT, IT WAS IN NATIONSTAR’S POSSESSION AND MUST HAVE BEEN PROVIDED TO THEM FROM BANK OF AMERICA…..IS THIS “JUST CAUSE” FOR ME TO GO AFTER THE LENDERS FOR NOT HAVING THE PROPER NOTE?? ALSO, I TRACKED DOWN THE ATTORNEY THAT SIGNED OFF ON MY INCREASED MORTGAGE W/COUNTRYWIDE AND HE PROVIDED ME WITH AN UNSIGNED HUD-1 SETTLEMENT AGREEMENT IN WHICH IT STATES WE WERE GIVEN $45,000+ FROM THE CLOSING, SO BANK OF AMERICA TELLS ME THEY DO NOT KNOW WHO GAVE ME THE FUNDS AND THAT I SHOULD CONTACT THE TITLE AGENT, WHICH I HAVE DONE TWICE, NO ONE HAS GOTTEN BACK TO ME AS YET…I WANT TO KNOW TO WHOM THOSE FUNDS WERE DISBURSED AND WHERE ALL MY CLOSING DOCS. WENT/ARE. I SPOKE W/BANK OF AMERICA TODAY AND THEY ASKED ME TO SEND THEM A HUD-1 SETTLEMENT AGREEMENT, AS THEY DID NOT HAVE ONE AND WERE CURIOUS ABOUT WHAT HAPPENED AS WELL. SCOTT MARINELLI HAS AGREED TO ASSIST ME WITHOUT TAKING A FEE, UNLESS WE HAVE TO GO TO COURT, HE IS COMING BY HERE TOMORROW TO TAKE MY PAPERWORK WITH HIM TO LOOK IT OVER, I ENCLOSED YOUR MOST RECENT BLOG ABOUT THE NEED FOR A MORTGAGE AUDIT, YOUR TIMING COULD NOT HAVE BEEN BETTER. WHAT I’D LIKE TO KNOW FROM YOU IS DO YOU THINK I HAVE JUST CAUSE, EVEN WITHOUT THE MORTGAGE AUDIT TO SUE MY LENDERS AS THEY HAVE ME ASSIGNED TO THE WRONG NOTE, ALL OF IT EXCEPT THE LOAN NUMBER, SO I DO NOT BELIEVE I EVER SIGNED A NOTE NOR DOES THE PROPER ONE EXIST. I WOULD BE VERY INTERESTED TO SEE WHAT YOU THINK ABOUT THESE NEW DEVELOPMENTS IN MY ON-GOING PURSUIT(?) CALL OR WRITE ME BACK AT YOUR EARLIEST CONVENIENCE. THANKS FOR KEEPING ON TOP OF THIS DISASTER!!!!! I’d like to know what Scott says about your docs. I believe you have a right to a copy of all the docs you signed, and if you ask the servicer for them, the servicer will probably send the ones you don’t have. I believe it important to focus on serious errors in the loan process, such as appraisal fraud, loan application lies (by the mortgage broker), discrepancies in the Hud1, terms of the loan changing without your knowledge, excessive origination fees, and servicer errors, particularly in a loan mod process or management of escrow. If I knew of such errors and could prove them, I’d write to the servicer and injurious party and demand a settlement under threat of a lawsuit. The point you made: you don’t intend to get your mortgage examined. My point: I fear that if you don’t, you might miss (and waive) numerous injuries that could suffice to get your loan balance reduced or some compensation for your injuries. It worries me that the servicer has a different note from the one you have, and that the info on it seems incorrect.